At Full Circle Fitness,We're A Family, Not A Corporate Gym. What is Full Circle Fitness? Our Vision: To help people of all ages reach their fullest potential by utilizing innovative approaches to health and fitness. Our Mission: To be the leader in Pain Reduction Fitness. We believe fitness should be about feeling better, not worse. Our passion is helping people's weaknesses become their strengthens. 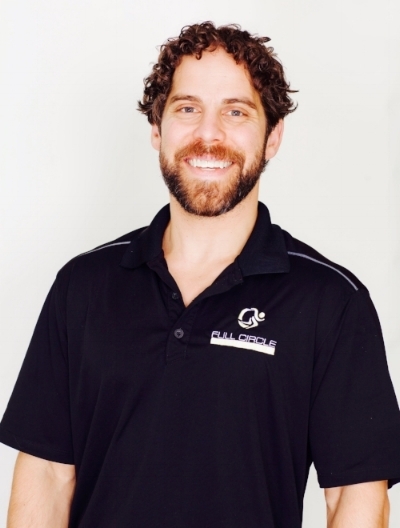 Why is Full Circle Fitness Different? The Difference Between Full Circle And Other Gyms is our instructors care about getting you the results you deserve. We strive to give people a longer, healthier life by teaching them a different approach to fitness. We specialize in pain reduction fitness and postural correction workouts. This means our focus is on strengthening your body for longevity and functionality, not vanity. No matter your age or fitness level you can have the pain free body you deserve. With our educated staff you will have the knowledge and tools you need to be successful. We offer private and semi private training sessions. No contracts, or long term commitments required. We let the results speak for themselves. We offer the best in cutting edge workouts that fit their needs. Your fitness journey starts now and the knowledge, and experience you will gain will last you a lifetime! Who is Full Circle Fitness? 15 Years of Training Experience with over 60,000 sessions serviced.